" Unbelievably the end of the year is fast approaching and Christmas Sundowners is on our doorstep. Tickets are selling fast and we encourage members to confirm their attendance asap. Long standing AustCham member, Bob Coombes from Food Glorious Food, is kindly sponsoring Christmas Sundowners and is pulling out all stops to bring in the best available produce from Australia. If you haven’t sampled food from Bob’s shop you are missing out. He makes by far the best sausages in Bangkok. News from the Board of Directors is that Leigh Scott-Kemmis, former President, has stepped down from the Board as the transfer of responsibilities to Brenton Mauriello is now complete. The Board of Directors thank Leigh for his years of leadership and tireless advocacy of AustCham and its membership and wish him the best of luck. The Board of Directors have been particularly busy through the month of November and in today’s Chamber News we provide a snapshot of some of the events where AustCham has been represented. Recently the Board of Directors also met to decide, amongst other things, on the distribution of CSR fundraising efforts in 2015. The distribution will be announced at the Christmas Sundowners and reported on in the December issue of eAdvance. Finally, the Chamber Office have been working on the Chamber’s communication platforms and a new look website for AustCham and Australian Alumni will be launched in the New Year. In the more immediate future, the results of the 2015 Business survey are about to be published in booklet form and expect to see your copy in the mailbox soon and on the new look and feel website shortly thereafter. We hope to see you all at Christmas Sundowners next week and in breaking news . . .at the AustCham Ball at the Grand Hyatt Erawan on Friday 29 January 2016. " 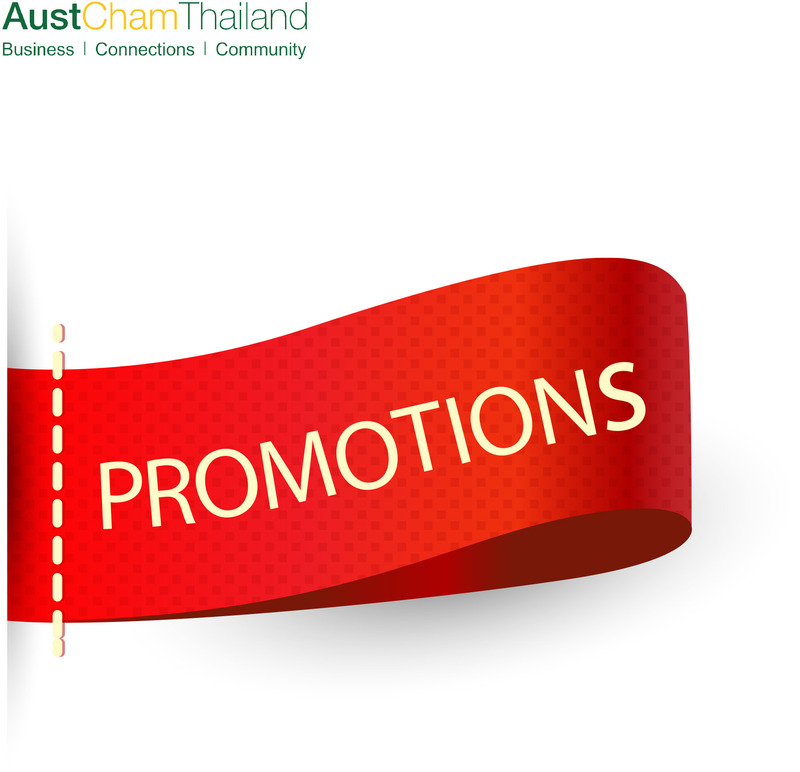 AustCham is delighted to invite members and guests to participate in a boardroom breakfast briefing to discuss the latest Australian Tax and Superannuation matters for Australians living in Thailand. Australian based AustCham members MMT Financial Services are specialists on taxation, economic and investment advice for Australian expatriates. AustCham is delighted to invite members and friends of all foreign chambers and business associations in Thailand to join Eastern Seaboard Sundowners organised by BeLuThai held in conjunction with all chambers at Amari Pattaya who will be hosting a spectacular evening for All Chambers Eastern Seaboard Networking event featuring all your favourites from the festive season. It will be a great opportunity for members of all chambers to meet, network and exchange views in a social environment. This is the 10th year we have published our annual focus on the Thai economy from the Grant Thornton International Business Report. So what has the last 10 years brought us in Thailand? ASEAN is an important region for Australian businesses, second only to China in the ranking of Australia’s leading trading partners, although the diversity of economic systems and levels of development in the region means that analysis of ASEAN’ s relationship with Australia is not always as insightful as analysis of Australia’s individual relationships with the member countries of ASEAN. THAILAND'S TOTAL investments are expected to grow by 8-9 per cent next year, compared to 2-3 per cent on average during the past several years, because of government initiatives, especially in the high-technology sector, resulting in an economic expansion of 5 per cent next year. The DFAT South East Asia Regional Aid Program is pleased to announce that the new Business Partnerships Platform (BPP) is now open. The platform is a mechanism for business to formally partner with DFAT on investments that deliver a combined social and commercial return. DFAT will co-invest between $100,000 and $500,000 with organisations who wish to explore opportunities that also create development impact. Funds must be matched at least 1:1 by business and align with regional and bilateral aid investment priority areas, as outlined in the online grants system website. With an ASEAN (the Association of Southeast Asian Nations) Community expected to take shape by the end of this year, Thailand will benefit from further economic integration especially with the planned ASEAN connectivity that will link the North-South and East-West corridors, a Thai academic commented. Vice President Josh Hyland attended the Mining and Women in Lao PDR and Thailand forum on Wednesday 21 October at the Sukosol Bangkok Hotel. On Tuesday 27 October AustCham President Brenton Mauriello and AustCham Treasurer Mr Peter Emblin met with the Northern Territory Chamber of Commerce and representatives from Austrade to discuss the Northern Territories outward looking business mind set, engagement with existing chambers in the region and support for Thai investors into the NT. On Wednesday 11 November, the Board of Investment (BOI), Ministry of Commerce and Department of Employment met with the Joint Foreign Chambers for a consultative session at the Sheraton Grand Sukhumvit. AustCham Vice President, Josh Hyland attended on behalf our Chamber. AustCham Director Wayne Williams attended the Brisbane – Thai Festival on Sunday 15 November at Roma Street Parkland, Brisbane. In its third year the festival received a number of visitors throughout the day and provided an opportunity to showcase and celebrate Thai culture, cuisine and traditions. You're invited to join Bangkok's top chefs for a 'rescued' lunch THINK.EAT.SAVE 2015 - BANGKOK - Thursday, 3 December 12PM until 2PM, Parc Paragon, Siam Paragon. To support the UN’s Sustainable Development Goal 12.3, which aims to halve global food waste and reduce food losses along the production and supply chains by 2030, UNEP & Australian food rescue charity OzHarvest have partnered with some of Bangkok's most recognised chefs and will serve 2,030 people a delicious lunch prepared using saved ingredients otherwise destined for landfill. Team Relocate Co.,Ltd. is a Full Service machinery moving company providing services for all industries including packaging, office removal, HHG, and plant relocations. Blue Spice is an international one-stop design and communication agency, serving a worldwide clientele. With a team of talented and creative designers, supported by dedicated account managers, we are committed to change your ideas into reality! We are a multicultural & multilingual team, with French, Thai, and American staffs. We are still an SME, therefore highly service-minded, creative, competitive and flexible. Our headquarters are in Bangkok, while we have two subsidiaries, one in Paris, the other in New York, allowing you to beneficiate from the latest trends from Asia, Europe and the US. To view his profile, please click read more below.